The most romantic time of year is just around the corner and it’s a time when geeks and gamers alike are granted the opportunity to let their geek light shine with gamer gifts ranging from Legend Of Zelda pillows to a Star Wars Bouquet. Or at least if you think Valentine’s Day is a holiday created by the greeting card companies, think of it as an excuse to buy really cool gaming gear. Here are some very unique and fun video game Valentine’s Day gifts. Maybe one of the most inspirational and moving video games in existence, Journey delivers a unique and unforgettable gaming experience. So it only makes sense that the iconic scarf from the game was made into an actual scarf that you can buy. If your Valentine is a huge Journey fan, this is one of the coolest gifts you can get them. And there’s also a Journey hoodie if your lover isn’t quite a scarf person. In Journey, the scarf would grow longer as you collected more ribbons. There’s a lot of power behind the meaning of the Journey scarf and even more emotionally powerful when you give it to your Valentine. 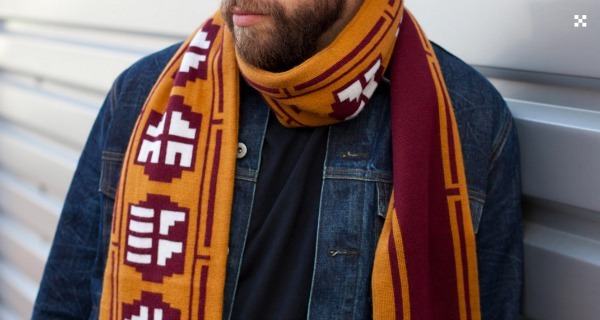 This scarf will set you back £40.00 from Insert Coin. 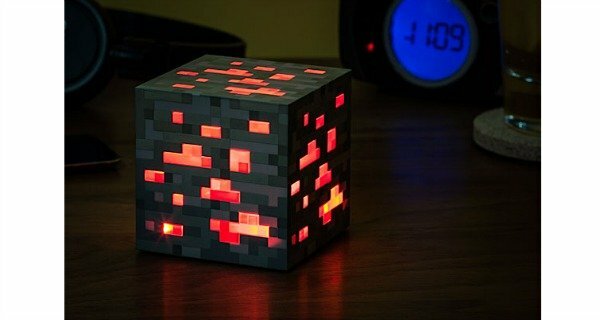 If your Valentine is a huge Minecraft fan, they will absolutely love this redstone ore light. It will give the perfect romantic, fiery glow during your Valentine’s Day dinner. While I’ve spent a little time playing Minecraft, I’m not a huge fan and I still find the light appealing. It looks just like the blocks do in the game, so it makes it that much better. If you’re looking to buy this for your Valentine, it’s only $19.99 from ThinkGeek. Only normal and boring people buy bouquets of roses for their lover on Valentine’s Day, right? But the really cool people buy things like a bouquet of dinosaur plushies. 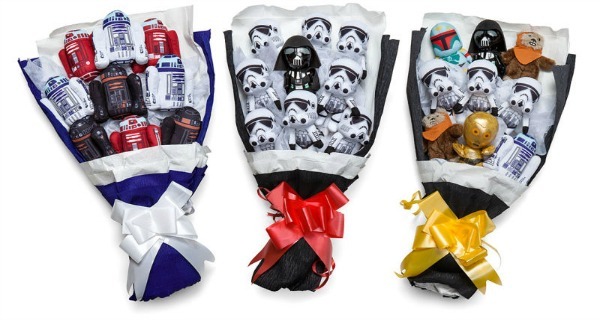 But in this case, ThinkGeek offers a bouquet of Star Wars for that extra special fan of games like Star Wars Battlefront or Lego Star Wars. The best part about this new bouquet plushie trend is you don’t have to worry about the bouquet dying after a certain amount of time. Your Valentine can display them as long as they want. You can buy the bouquet for a steep price of $59.99 from ThinkGeek. Some people are more bold than others, and that includes those who are looking to take that final relationship step on Valentine’s Day. But, how to do it? If your Valentine is a huge Pokemon fan and light-hearted, you might want to consider one of these snazzy Pokemon engagement rings. The ring has real diamonds in it and a cute, little pokeball in the middle. What more could a Pokemon fan want for the most epic proposal ever? It’s the greatest way to say “I choose you!” The engagement ring doesn’t come cheap, and will cost you $197.00 from Art & Gems Jewelers. 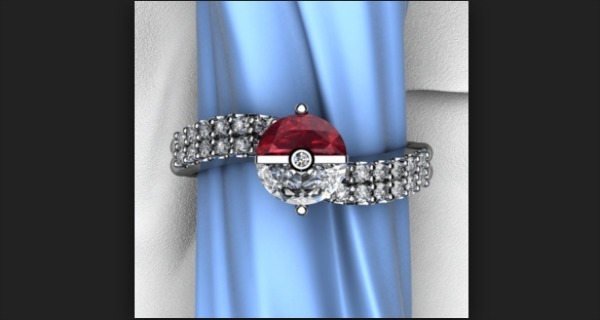 Would you believe that’s one of the cheaper Pokemon engagement rings? 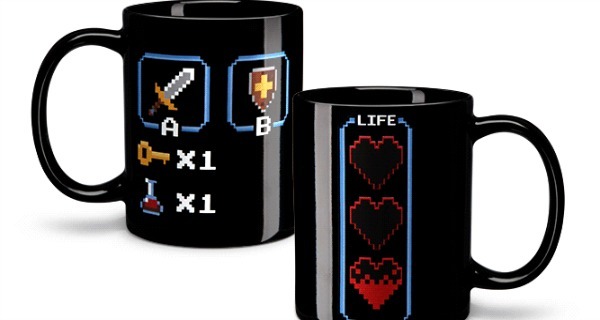 I’ve secretly always wanted a gamer-themed heat-changing mug. It’s probably one of the cooler gifts to get someone for Valentine’s Day, and it won’t set you back too much in your budget. Even if your Valentine doesn’t use mugs, it’s great to hold pens and pencils on a desk at work. But who wouldn’t want to use the heat-changing technology to reveal the hidden images on the sides of the mug? The heat-changing mug will typically cost $11.99 from ThinkGeek, but it’s on sale right now for $9.99. 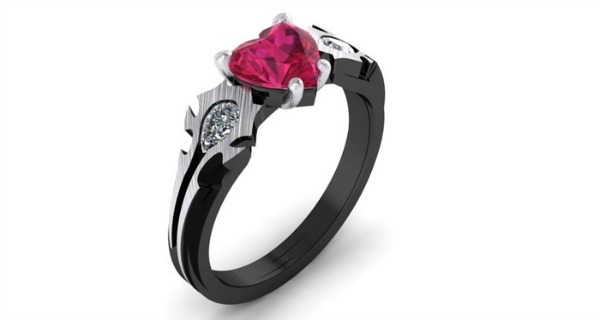 If Pokemon isn’t your Valentine’s thing and you still want to propose in the most adorable and geekiest way possible, then you absolutely need this Horde World Of Warcraft engagement ring. I honestly think it’s much more dazzling and impressive than the Pokemon ring, and feels more like a love-related gift. Face it, you can’t get nerdier than a World Of Warcraft engagement ring. But, it can get pricey. The WOW ring costs a whopping $490.00 from Etsy. So there’s the Star Wars bouquet, the plush dinosaur bouquet, and then there’s the 8-bit Bouquet. And it’s exactly what it sounds like. It’s bundle of flowers set up in a 2D creation in 8-bit graphics. I was once given an 8-bit hair bow, but it was too flat and hard to sit in my hair. But I can tell you the bouquet will be a lot easier to display and show off than an 8-bit hair bow. 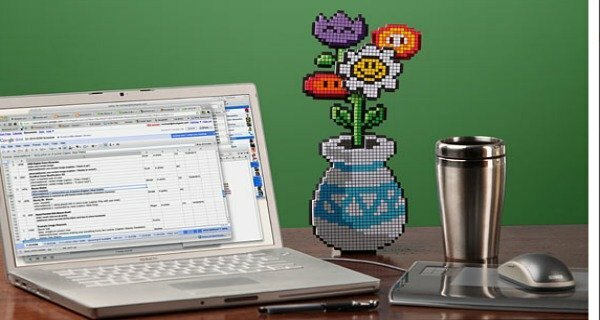 You can get the bouquet for $9.99 from ThinkGeek. You didn’t think we’d leave out Legend of Zelda, did you? Sometimes the best kinds of gifts are the simplest. 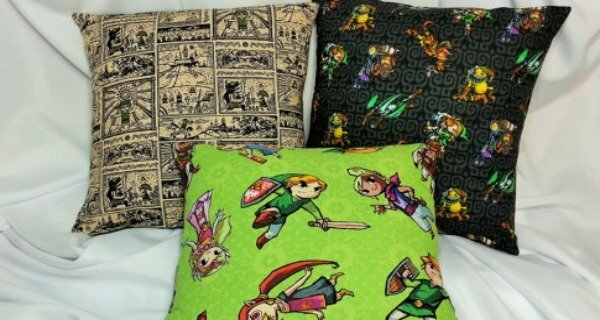 The artwork for this Legend Of Zelda throw pillow is pretty detailed and I thought it was just a badass looking pillow. It’d be great to keep on the couch or on the bed during the day. And if your Valentine is obsessed with symmetry, buying two matching throw pillows won’t set you back too bad. The pillow costs $22.00 from Etsy. One year for Valentine’s Day, I bought my Valentine a paopu fruit pillow both for me and him. It was an exchange of love and the promise of being soul mates, just like in Kingdom Of Hearts when Sora gives the fruit to Kairi. 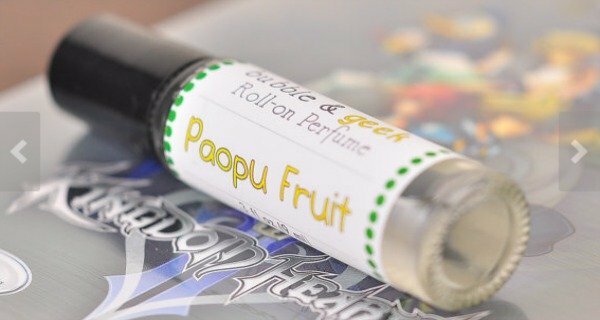 With such an in-depth back story, the paopu fruit roll-on perfume is sure to really mean something to your special someone. It’s like giving the fruit without having to eat it. Rather, you get to enjoy the fruity smell of a long-lasting relationship. The perfume will cost you $10.00 from Etsy. If you thought chess was a boring board game, you are so wrong. 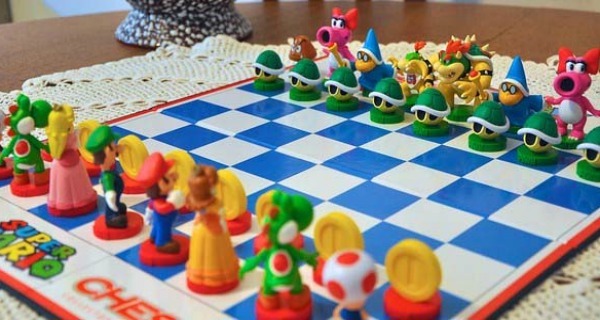 If your Valentine is gifted this year with the Super Mario Bros. chess board, they will never think chess is boring ever again. The pieces are carefully detailed to match a character from the Super Mario Bros. universe, like Princess Peach and Bowser. And if you weren’t into chess before, this is one way to pick up the game and become a master. You can grab this fancy chess board for $34.99.